Many of us long-time Hibs supporters enjoy a nice stroll down memory lane, recounting tales and waxing lyrical about Hibs’ superb, fluently talented team of the 1970s’, ‘Turnbull’s Tornadoes’. I often wonder how the younger generation feel about this, and consider how their own heroes would stand up to scrutiny and comparison with that much-lauded team. In fairness it c an be a little galling hearing time and again about a ‘great’ team from a previous generation – especially when one considers how much football has changed over the decades. It’s perhaps important in the case of this debate to remember the argument that, in spite of seemingly limitless talent, the Tornadoes achieved relatively little by way of silverware in that very entertaining era. A contributory reason for that is the fact that they operated at a time coincidental with one of the great sides in Scottish football of all time, Jock Stein’s Celtic. So how do the Hibees of more modern generations compare? It’s tempting to say ‘not too well’. I must of course firstly admit to my personal bias towards Eddie Turnbull’s magnificent team. I was ‘that age’ in their heyday – an age when footballers seemed like gods. I hope to however select a team here that would provide a stiff challenge to those talented men in green. It’s an eleven selected from every team since those halcyon days of the 1970s’ and I happen to think would provide one heck of a football match. The teams are formed into a 4-4-2 formation and whilst I’ve attempted to match individual for individual, that’s of course not always a fair or apt comparison. Bear with me though as we take an enjoyable and fun tour through the skills of some of the greatest modern-day Hibs players. Undoubtedly Hibs fans out there will have their own opinions on this one – I welcome your views! Okay, you’ve read and digested the selections. Maybe a personal favourite or two isn’t there (mine included!) Let’s see how the players stack up side-by-side with marks given out of a possible ten. Featured today are the defensive lynchpins of the two teams, the men charged with keeping the ball out of the net. The Challengers are off to a fine start here with arguably Hibs’ finest every ‘keeper. It’s an unenviable job that Herriot has in matching Goram who was truly a magnificent goalie. Herriot himself was one of Hibs’ safer custodians over the years though perhaps not really up to the level of some of the stellar talent within the Tornadoes. He was however the best kind of keeper in my view – a dependable one without too many frills who usually stopped the shots and headers that he was supposed to. Goram however was a completely different kettle of fish. He was a goalie with very few weaknesses who, perhaps unfairly, is now seemingly only known for his many successful years with Rangers. It was ever thus. Don’t let the fact that Goram’s off-field activities and words have left him a somewhat sullied figure in Hibs’ history, this man was the real deal – a goalkeeper with greatness about him. The Tornadoes fight back strongly with one of their legitimately world-class players, John Brownlie. How long is it since we have been able to boast of such a player in the Hibs team? Brownlie was phenomenal and don’t let anyone assure you otherwise. His game was revolutionary as he provided a hugely potent offensive force from his position at right-back whilst being no mean defender either. I had to come to a fairly recent era to find a man to compare with him in some way and that man is Stephen Whittaker, a defender whose strongest suite is perhaps also going forward. Sometimes criticised for slight defensive frailties during his time at Easter Road, Stephen was nevertheless a great runner with the ball at his feet. He had an uncanny ability to enter into a tangle of players and emerge from the other side with the ball on the end of his toe. An extremely good attacking full-back. I’ve organised the centre-back pairings that would ensure a handy comparison in styles. Rob Jones wins this time with some consistent performances over his period with the Hibees. The former school teacher is not everyone’s cup of tea but when scouring the past years to find a more effective ‘stopper’ type centre back one realises what a difficult job this is. Finesse was not Jones’ strong point, nor was distribution or positional play, he did however provide a hugely commanding presence in the centre of defence and a useful attacking option at set-pieces too. Hibs always missed him greatly when he was unable to play. Jim Black was a somewhat enigmatic figure in Hibs’ past. He is often looked over when considering the great team assembled around him. Jim was a journeyman footballer and a generally solid one at that (apart from a torrid occasion or two against Celtic’s Dixie Deans!) Like Herriot he attracts a rating of 6/10 – as close to ‘average’ as we are going to see within this article. Now here’s a truly memorable match-up between two wonderful players! Dissimilar in style, of that there’s no doubt, but equally effective in their own ways. ‘Sloop’ is one of the legion of non-Auld Firm players that would surely have gained much more international recognition had he strutted his stuff in Glasgow on a regular basis. Hard as nails, good in the air and a great tackler and reader of the game, in many ways he was the complete central defender. As a straight-ahead central defensive player he’s the best in my time watching the Hibs. Even my admitted bias can’t split these two excellent defenders! Eric was a great favourite at Easter Road. With his robust, fully-committed and athletic style of play, that was always going to be the case. Eric loved to join the attack and although his attacking prowess was perhaps overshadowed by the sublime skills and dynamism of Brownlie on the opposite flank, could overlap and use his great strength, speed and directness of approach to mean effect. David Murphy was a contrasting player to ‘Shades’. Classy and unhurried, his defensive play was characterised by neatness and effectiveness. The overlapping service he gave to Hibs’ left flank was purposeful and directed well. Murphy reminded me a lot of former Arsenal left-back Kenny Sansom in his tidy play. Not too many thrills and spills but everything achieved with a modicum of ease and with class. A very difficult defender to play against. Next time in Part Two: read about the men in the middle of the park – the players who make the team tick, The Midfield Maestros. Interesting stuff Stu. Can’t disagree with much of your comparison. I was trying to think of some other centre halves and it’s notable that Hibs have never really excelled in that position. Craig Paterson would rate an honourable mention perhaps. Rob Jones was ok, but probably reflects the prevailing standard of his time at Hibs. Gordon Hunter? A great servant but never a great player in my opinion. Must say that Craig Patterson is one that passed me by. (I knew I would forget someone or other!) One of the better backs in an area which as you suggest we’ve not had rich pickings. I think that resorting to choosing Jones sort of tells it’s own tale really… I liked Gordon Hunter in some ways, he had that slightly ‘cult’ thing about him, but I agree he had his weaknesses. It’s interesting that even in our ‘great’ team of the seventies we still had an oft-criticised central defender in Black! I dont think this author done a very good job of picking a Hibs team to match up with Turnbulls tornadoes. If i was a chairman i certainly would not have him managing my team. While turnbulls tornadoes were a great team, if we put together all the players since then we could pick from that a team that “would” be better than turnbulls tornadoes. (2) Agathe. Fair enough, if we are only picking Scottish born players then i will say Whittaker. However Whittaker had a tatoo on his hearts, it was the “Hearts” crest. Whittaker was a Hearts supporter, so he does not become a Hibernian legend this way. While Didier Agathe was French, and only played for Hibs for two months, he “was” a Hibs player and the only reason we did not have him for two years and acquire a few million for him was because Big Al made a blooper in only giving him a two month contract. And although during those two months, Didier played upfront for Hibs, and did so extremely successfully, he showed his worth at Celtic as a remarkable type of modern day right sided attacking wing back and i think Didier was probably a level above Whittaker. (3) Left back is a debatable one. While i agree David Murphy was a wonderful left back, one of Hibernians greatest ever, Ulrik Laursen was also an extremely talented left back and it was remarkable a player of Laursens talent, that could have joined Liverpool, ever chose Hibernian. I think Laursens 5 caps for Denmark speak for themselves really. I dont think Hibernian over the last 30 years have been so glorious that we can afford to discount a player that went on to gather 5 caps for Denmark. Laursen for me wins it, not jut because of his caps, but because as a defensive Left back, Laursen was at the very least equal to Murphy. Laursen was also adept at going forward, and was a terrific passer, same as Murphy. Were Laursen wins it for me, is Laursen was also capable of central defensive duties and was also a goal scoring threat at corners and set pieces, where-as Murphy was mostly just a left back. (4) Suazee. Again i agree with the author here, this was a world class player with experience, grace, intelligence, talent, and emmense power. What he lacked in pace he more than made up for in other areas. This guy would have to be “captain” of this team. With an extremely powerful shot he was a goal threat from all angles and distances upto 40 yards. His power of shot would knock defenders and goalkeepers over and would make them think twice about ever standing in the way of another of his shots. A player that could time and again pick out a man from 60 yards away.A player that could seemingly with ease steal the ball in a cheeky fashion off even the most skillful players without any apparant difficulty. Efficient with ball control, although not explosive or dynamic, very rarely ever lost possession or made a mistake and when under pressure always manage to successfully and calmly and without breaking sweat negotiate the safe option. A player that was most effective as a defensive central midfielder, could also use his intelligence and game reading ability to play sweeper, and in the Hibernian team could easy play as central defender. I actually dont think there can be any dispute that Frank Suazee gets the number 4 flexible right sided central defender come sweeper defensive central midfielder. I also fancy that Suazee would never have left Hibernian the space from Schaedlers throw in to make in 1-0 in 1973 and would have mopped it up. I also doubt he would have made the error that lead to Hibernians 3rd that game. More likely he would have smoothly and calmly, and with complete grace, negan a counter attack. (5) Gary Caldwell. I think it makes an absolute mockery of Hibernian that Rob Jones was ever mentioned in the same breath as Hibernian greats. Sure, he became a Hibernian hero when he scored a winning goal against Hearts in a league cup quarter final, and he also scored in the 2007 cup final victory. Sure, he was a good player and captain and was a level above your average Hibernian player. But only one level. He was bought from the English lower leagues and returned to the English lower leagues. He made a mockery of Hibernian when he marched his Hibernian team into Rod Petries office leading a revolt against a true Hibernian legend, John Collins. A man that played for Celtic, Monaco, Everton and was one of Scotlands greatest ever midfielders, had a rebel from English lower leagues lead players from this great club into the chairmans office to complain that John Collins was working them too hard in training and was confusing the players with complicated tactics. This “is” complete embarrassment, and is probably one of the reasons we are now in the 1st division. An absolute disgrace, While Rob Jones was 6ft7, and could head a ball and use his long legs to hustle the ball from opponents and when he felt like it could also be a handful for opposing defnders at corners and set pieces, he wasn’t that special and his ability and footballing knowledge was limited to certain strengths only. On the otherhand Gary Caldwell gained a reputation as a judas and bad guy when he signed a pre-contract with Celtic and now any mention of his name is taboo in Hibernian circles and there is a false belief that he was not a great Hibernian player. This is nonsense, Gary Caldwell while he played for Hibs was at the time a Hibernian favourite. There was a reason he got signed by Celtic and a reason Hibs fans banished him from the memory books when he left, and that is because they wanted him to stay. The fact that he is Hibernians most capped Scotland defender of all time speaks volumes. Fair enough, he won those caps in probably Scotlands weakest national football team of all time, and i very much doubt he would have gained quite so many caps in important competative matches in previous Scotland teams, and while he was at times a little clumsy now and again, he was mostly adequate as a central defender that also contained decent ball control and could even be an attacking threat. He is not quite in the same league as Didier, Frank or Ulrik, but he is the best other option we have. (6) Murdo Macleod. While i never saw Des Bremner play, he must have been a good player as he made nearly 200 appearances for Aston Villa. Having said that, there was not the huge gulf between Englands top teir and Scotland’s, that there is today. Murdo on the otherhand had a successful Celtic career, and then went on to Borrussia Dortmund, both imo probably higher profile teams than Aston Villa. Also Murdo’s 20 Scotland caps over Bremners 1. Murdo for me was a “huge” and unbelievable capture for Hibernian given the state the club was in at that time, when they were close to closure. Murdo was still appart of the Scotland set up upon joining Hibernian, and he turned down Aberdeen and more money in order to come in and captain this engangered Hibernian team at a time when they needed help, similar to what Keith Wright did. Murdo also captained this endangered Hibernian team tothe fairytale 1991 Skol League cup victory. I very much doubt that if Murdo had not been captain of this squad that Hibernian would have been able to carry off one of footballs greatest fairytales. Murdo was part of one of Scotlands more stronger national teams, at a time when Scotland were a force to be reckoned with. He was a player of european and continental stature that was most effective as a defensive midfielder. But he gets into my team because he had a lot of experience and ability and when needed could easily fall back adequently make a back 3, and on the otherhand, although not a prolific goalscorer, he could be extremely effective at the other end of the pitch possessing an abilty to run passed defenders and create chances with clever passes. This man would definitely be vice captain after Le God. (7) Ulises De La Cruz. the Hibernian right wing roll is a difficult one. It is my biggest regret that i cannot here mention Gordon Strachan, a Hibernian supporter born in Rossie Place that if it was not for Tom Hart and his obsession with a drunken George Best, would have been one of Hibernians greatest right sided attacking midfielders of all time both scoring goals and setting up John Robertson with endless goalscoring opportunities. We can only dream. I also regret having to leave out some other true Hibernian heroes, Such as tricky Micky Weir, a player that never really fulfilled his true and actual potential due to chronic injury proneness that seen him miss out at least half of every season due to injuries. But i am affraid a player that is going to be on the treatment table more often than on the pitch cannot star in a Hibernian legends team. Ivan Sproul became a Hibernian hero due to his incredible pace that i am sure he could have used to be an olympic sprinter. There are whispers that Ivan may have been the fastest football runner in the world. However as much as his pace alone caused devastation to run of the mill spl defenders, other parts of his game were frankly mediocre, and no player with the mediocrity that he displayed, sometimes leaving 4 defenders in his wake only to show an apparent inability to even kick a ball farther thatn your granny could, does not have a place in a Hibernian legends team. Thank god also for De La Cruz, saves me from having to consider Heart of Midlothian legend Paul Hartley. A player with lots of potential that became one of Aleck Mcleishes worse decisions when giving him a free transfer, and became a Judas when later signing for Hearts and becoming a Scotland international. However he done this as a defensive midfielder, not as a right winger. De La Cruz on the otherhand was one of Big Al’s better captures. An ecquadorian international that sold for millions to a very impressive Aston Villa side in English premiership. He may not have set easter road on fire the way expected, but i am sure had he spent longer at easter road and had been surropunded by better players, he would have been a true Hibs legend without a doubt. His potential was undoubted, and a bit like Didier could play that right attacking wing back roll. The only question is do we have Didier as number 2 or 7? which way round do we have them? that would be a dilemma any manager would be pleased to have. Their ability was such that i dont think it would matter much. (8) Scott Brown. While i add Scott Brown with great reluctance, who else is there? Scott Brown is beyond a shadow of doubt a talented player well above the average level of a Hibernian player and probably by far the most successful of the super seven going on to captain Celtic and Scotland. He was one of Hibernians favourites under Tony Mowbray and was an exceptional talent. However, he does not quite imo quite reach the level of the likes of John Collins. He has found himself an integral part of one of Celtic and Scotlands weaker sides, and make no mistake, in times gone by he would not get a look in in some of the sides Celtic and Scotland have possessed. Although capable of finding the net, he is not a prolific goalscorer, and not even a prolific playmaker. He plays more of a composed defensive midfield type roll for Celtic, trying to forge breakthroughs with accurate passes. He is a brave hardworking player with plenty aggression and possesses a decent ability to hustle and win the ball from opponents and come out of 50/50s the winner, and his ball control and forward moving ability is decent. But he is not dynamic. Any comparisons made of him that compair him to John Collins and other Scotland greats are over rated. He does not display anywhere near the skill and talent John Collins had. John Collins was also an all rounder that was not just an exceptional talent running forward, he was also an extremely hard worker that could put in a tackle and was not above lending a much needed hand at the back. John Collins was an exceptional and model professional and it is only due to the fact we lack a left winger that Scott Brown gets a call. Scott Brown is at best a reliable midfielder that can dominate the midfield adequately without ever making a mistake nor without really doing that much exceptional either. for this reason he gets in my Hibernian legends team as a central midfielder, but not as the attacking midfielder he was during his Hibernian stint. (10) Russel Latapy. I simply cannot comprehend how on earth you fail to include Russel Latapy in your selection. For me Russel is possibally the best and most gifted footballer to have ever played at easter road. It was only because he in his younger years had experienced off field problems that we ever got the opportunity to sign a player of Russels ability. However what we got from him far exceeded what anyone could have imagined. A player that had already been a star for Porto and Benfica, came to Hibernian, sorted himself out and played the peak football of his career here at easter road. We are talking about a player who’s best mate Dwight Yorke commented in the newspapers that this was the best player he had ever played alongside and would be good enough to qualify for a place in the european cup winning Manchester United side. Russel was a footballing wizard, a little magician, and he was arguably and debatably a more key player than Le God. We are talking about a player who while playing for Hibs was voted something like the 41st best player in the world, above Paul Scholes and Roy Keane. I find it amazing that nowadays Russel gets such recognition while Frank Suazee gets all the plaudits. Russel left Hibernian to join what was at the time quite a strong Rangers side. Russel was past his peak by the time he left Hibs for Rangers, but even then he was still probably the most gifted attacking midfielder Rangers had in their squad. Russel was such a good player i am going to set Hibernian up with only one out and out striker and put Russel in as an attacking midfielder type of playmaker forward. Russel was not the most prolific goalscorer largely due to the fact he plied his trade as a playmaker playing just behind the forward line. But given half a chance he was still a very efficient goalscorer. He caused defenders all kinds of problems with his world class ability to take on players with majestic skills. He was a superb passer that could open up any defence and place the ball on a tee for any half decent striker to finish. He was simply amazing. He is also a Trinidad and Tobagan legend, second only to Dwight Yorke. How he could ever be left out of any Hibernian squad is beyond me. (11) John Collins. John Collins was not only a Hibernian great, but also a Scotland and Celtic great. He was even when playing for Hibs, one of the best and most skillful midfielders in Britain. That is why Tottenham tried to sign him. Collins was also a player who could cause a goal threat, although he was not a prolific goalscorer, he was far better as a playmaker and midfielder. Had John Collins been English, i believe he would have been good enough to earn a place in the England squad. He was not quite as world class as Russel Latapy, and that is why i am pushing John Collins out onto the Left wing. John Collins strongest position was definitely left of central centre midfield. 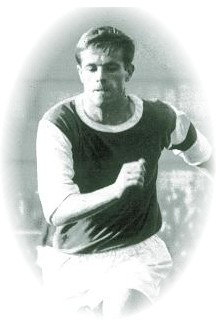 His best and most prolific period as a Hibernian player was when he was given a free-roll. However Hibernian have a slight problem with left wingers. The only other viable option for Left wing imo would be Michael O’neill. O’neill in 1994 for a period of only 6 months released his full potential. For 6 months he ran down the left wing keeping up with world renowned Brian Laudrup every inch of the way in a race for Scottish player of the year. He scored amazing goals, and set up amazing goals and ran past players like what Gordon Smith used to do. For 6 months Michael justified his place in the Northern Ireland team. However unlike Gordon Smith, Gordon Smith kept up his fine form for over 20 years, Michael O’neill found his full potential for 6 months and then burned out very quickly. While John Collins may not have always been as effectual as either Russel Latapy or Michael O’neill, John Collins was always usually consistent, and was also far better defensively. And despite left wing not being Collins best roll, he still had a wonderful left foot and had the skill and ability to still be extremely influencial in any position. Therefor John Collins gets my number 11 shirt. (9) Leigh Griffiths. Now, i cannot believe the author has went for Steve Archibald, Keith Wright or Derek Riordan. Steve Archibald was almost finished when he came to Hibs. Sure, he had been a world class striker at a time when Scotland had greats such as Kenny Dalglish to brag about, and it was a shock to everyone when Steve decided to leave Barcelona in order to sign for Hibs. And yes, after a slow start in a Hibs shirt when it first appeared Hibs might be paying a relatively high wage for a player that is finished, Steve Archibald did find a form that was above the average striker in the SPL. However despite finding a decent run of goalscoring form during the 2nd and 3rd quarters of the 1988 season, he was hardly phenomenal nor prolific. He did use his intelligence and ability fairly well and was a crucial part of Hibernian reaching europe, however it was not form that was so dynamic it ever warranted a Scotland recall. It was also a very briefly lived form, as by the last part of the season he had completely lost his pace and legs, burnt out and got injured easily, and that was him for all intents and purposes, finished. Affraid this does not qualify as Hibernian legend material. Keith Wright? Keith Wright was a true Hibs supporter that like Murdo Macleod, turned down more money and a better team in Aberdeen in order to join a Hibernian team that was on the brink of extinction. He was a half decent player that could play semi effectively on the left wing, was strongest playing as an attacking left sided forward, but was never Scotland class. He was reliable and could cause defences a little trouble, but he was Scotland B at most. Despite being played by Hibs as an out and out striker, he was never really a striker. Never a prolific finisher, and Hibs was the only team he ever played in this position for. His finishing ability was at best adequate. Take nothing away though his loyalty and footballing ability is good enough to see him a true Hibernian hero worthy of a testimonial, but not enough to get into an all time great Hibernian side. Infact, his partner in crime, Darren Jackson, another attacking midfielder getting played at that time as an out and out striker, most efficient on the right side of the pitch, although a late developer, was probably far more dynamic and an even greater goal threat than Keith Wright ever was, that is why Darren Jackson won so many Scotland caps at a time when Scotland were short of strikers after Duncan Disorderly got banished from the squad, and why Celtic eventually signed him. Fair enough, he won those caps at a time when Scotland were struggling with goalscorers, Darren Jackson, like Keith Wright, was also not a prolific goalscorer in the sense of the word, So his form probably only good enough to warrant a place on the bench. I am gobsmacked by your admission of Derek Riordan. Yes, Riordan had bags of potential. Yes, Riordan was an exceptional goalscorer and scored what can only be described as wonder goals. He was a very reliable and adept finisher, although not quite a goal poacher. He also scored all those goals in what was a very weak SPL in comparison to earlier SPL’s. While Riordan had reasonable ball skills and attacking ability, and a phenomenal shooting ability, he was sadly not the compete player and had far too many flaws. His attitude for one was atrocious. He was a pre-madona from the start and not anywhere near as good nor as important as he thought himself to be. He was a whinge bag and lazy. Refused to do any off the ball work or any defensive duties whatsoever. Sometimes he was quite easily knocked off the ball and too often his moments of genius were limited to small periods of a game, in a game he had previously and largely been before that, completely and utterly invisible and ineffective. He also left Hibs on a mid season contract agreement, and i very much doubt had Celtic had to cough up any substantial transfer fee they would have bothered, because they knew they were signing a liability. There is a reason he ended up not even being appart of Celtics 3rd team, and a reason he was eventually excluded from Scotland squads, and it is not because Gordon Strachan was an idiot like Riordan would tell you. It was because Riordan was not good enough. Hitting a 3o yard volley into the top corner and that being the only thing you do in an entire match may be good enough to get into the Hibernian side, but it is not good enough to get into the Celtic side, the Scotland side nor a Hibernian legends side. Having Riordan in there makes a mochery of Hibs. Now i would have loved to give John Robertson a mention. Along with Gordon Strachan, John Robertson “should” have been a Hibernian great, instead of a Hearts great. A hibernian fan that wanted to sign for Hibs instead signed for Hearts after chairman Tom Hart wanted to sign a drunken George Best. Another player i would love to have up there is Joe Baker. A nowhere man, that was neither part of the famous five because they were just before him, not part of Turnbulls tornadoes because they were just after him, not part of the Scotland squad because he was born in a caravan south of the border while his parents were on holiday, and not part of the England squad because he was Scottish as you can get. Yet he is Hibernians most prolific scorer of all time, and in goals to games ratio, also Arsenals, which says a lot really. However Hibernians lone striker roll goes to Leigh Griffiths. A player who in one of Hibernians worst ever teams managed to equal Stevie Cowans record of 28 goals. Leigh Griffiths scored the best ever goal in an edinburgh derby that never was in the 0-0 draw with Hearts, and what was so phenomenal about Leigh Griffiths was the fact that most of his goals were self made. Picking up long punts from the goalkeeper, taking it down in his chest then running with it himself and smashing a wonderous goal into the top corner. Definitely has the potential to be world class, and what was special about him was his passion for Hibs. Unlike Derek Riordan Leigh Griffiths was also a fighter. Would run around and tire himself out chasing lost causes. Would be helping out in central midfiels one second and then up near the goals poaching the next. His goalscoring record speaks for itself also, he was a better alround goalscorer than Derek Riordan. Given what he achieved surrounded by such mediocre players. just imagine what he would achieve in this Hibernian great side.